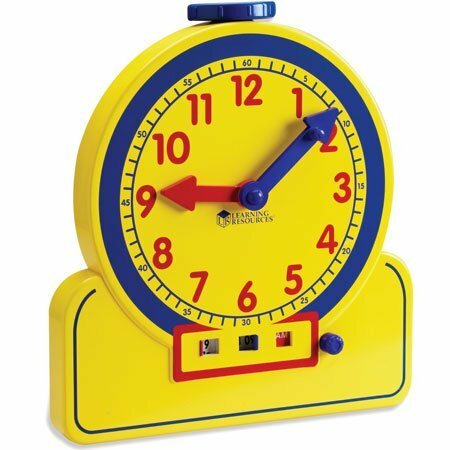 Geared clock’s digital display window keeps track to the minute with the clock hands, helping children learn both methods of time keeping. Color-coded hour and minute hands match the color-coded window shutters. Keep the window closed and quiz your child on clock reading. Includes an Activity Guide.